Today, speed to market and user experience matter just as much to customers as product quality. Software developers find themselves under increasing pressure to deliver fast and flawlessly, and there’s simply no margin for error. This makes rapid iterations on front-end performance testing more critical than ever. Enter Sauce Performance—a brand-new offering that we are especially excited to announce. 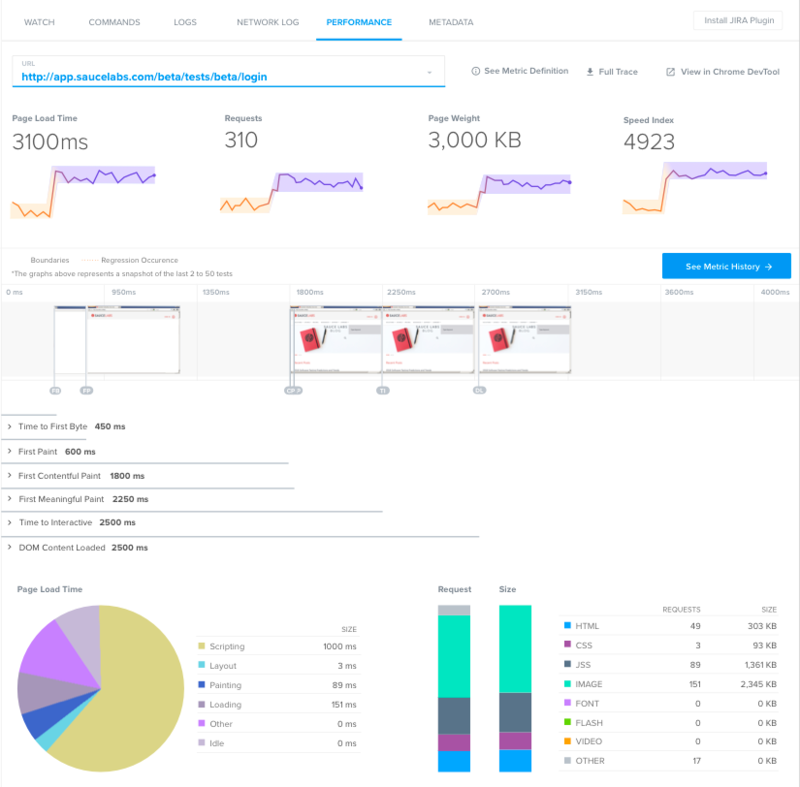 Sauce Performance delivers detailed front-end performance metrics and root-cause analysis as part of functional tests. It streamlines the process by collecting application performance data from existing front-end functional tests. This means developers now have access to detailed front-end performance metrics, algorithmically recommended baselines, and root cause analysis—without creating new scripts or deploying new infrastructure. It’s true: developers can now use the same cloud-based testing platform for both front-end functional and performance testing. This makes workflow easier and ensures users can be more productive. Another thing that sets Sauce Performance apart is machine learning. Sauce Labs has implemented the machine learning process to perform changepoint detection in the data. By identifying these changepoints, users can get a true indicator of performance. Developers can then easily and reliably diagnose performance issues by automatically discovering true performance regressions. With these metrics available, you can get fast feedback and continuously track front-end app performance early in the CI/CD pipeline. Are you interested in getting more productive with Sauce Performance? Learn more about Sauce Performance, view the wiki for technical documentation, or sign up for a free trial.